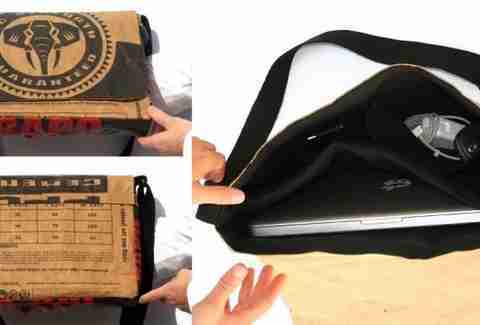 Travel gear needs to stand up to a beating, which's why South Africa's Wren ingeniously constructs theirs out of materials designed to hold stuff that keeps everything standing up: coffee beans and cement! In addition to looking mad rugged, each one "comes with a story", though hopefully not a rambling one, as they'll be sitting right next to you on the plane. 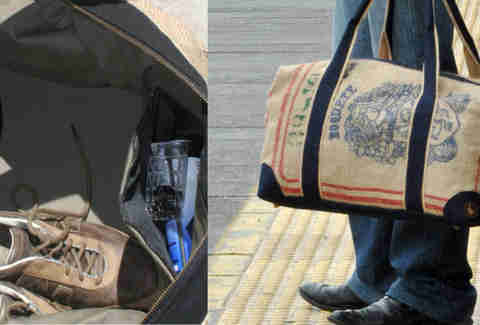 Burlap coffee sacks, sourced everywhere from Panama to Indonesia, are turned into maximum-carry-on-sized duffels, reinforced on the bottom with hemp canvas, lined with cotton, and given a waterproof pocket for possible toiletry spills. They also have soft Jute webbing handles & a strap lined with "manilla rope", something Ali was not given a lot of after his wife found out he was banging Veronica Porsche. 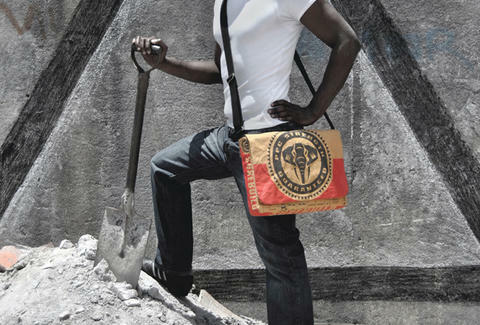 Stitched from stripped, re-fused layers of authentic (and unused) cement bags, magnetically closing laptop protection comes with a thick black cotton lining inside, and graphics of wheelbarrows on the Scotchgard-treated exterior, which also has instructions on how to properly mix concrete, because Lord knows you can't just look that kind of thing up...on a computer...in your laptop case. If you're all Goldilocks and require something in between, there're a couple of tote-like Carry-Alls they recommend for everything from going to the grocery store to hitting the beach, a great place to travel with your girlfriend, assuming listening to her rambling stories earns you a beating.